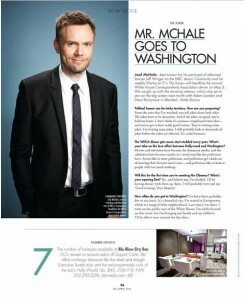 Comedian Joel McHale tells DC Mag in their April issue that Georgetown is a “magical little neighborhood,” and says that he plans on sightseeing with his family when he comes to town to host the White House Correspondents Dinner on May 3rd. 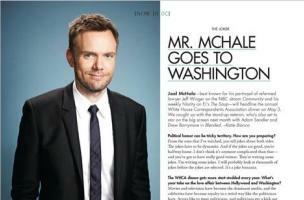 The star of “Community” and “The Soup,” McHale was selected February 14th as the host for the dinner. Check out the rest of the interview in your nearest copy of DC, or visit the online version.